Have you ever considered leaving the town or city where you currently live to go stay inside the bush and make it your home? Does it sound appealing to build your house from scratch to finish inside the bush and raise your family in the wilderness while hunting to survive and fishing in the water? Well, while this idea may sound horrific to many people, there is actually a man who not only built a home in the bush but actually raised his family inside it. That man is Billy Brown. Billy Brown is an American reality TV star who has truly fascinated Americans with his way of life over the years. The self-reliant man has led his family to live inside the bush in Alaska for many years. They built their own houses, hunted for their own food and fished to survive year in year out. And all this is broadcast to Americans via the Alaskan Bush People, a reality show featuring the Brown family living their lives in the bush. Billy Brown, whose full name is Billy Bryan Brown, was born on the 3rd of December, 1952 in Fort Worth, a city in the US state of Texas. The man was born to wealthy parents and enjoyed the privileges that being born into a wealthy home can afford. His father has been identified as Billy Joe Brown and his mother’s name has been given as Kathryn Brown. According to reports, his father was the president of a limousine company in Texas who apparently had a lot of money and was also influential. Billy Brown had a sister named Kathy Jean Brown with whom he grew up in Texas. Growing up, their father showered them with a lot of love and bought them expensive presents on their birthdays. Billy once revealed that his father often gave him cars and even boats and more as birthday presents. His childhood was that of pure bliss and joy. He had everything he wanted. However, his whole world came crashing down on him when he was just 16 years old after a tragedy changed his life forever. It was on the 2nd day of March in 1969 that it happened. His parents and sister were traveling by air when their plane crashed and killed them all. Billy lost everything and was devastated. He felt empty and depressed. To make matters worse, Billy lost hold of his family’s fortune and expansive properties when he was tricked into signing what he called some ’emaciation papers’ by dubious attorneys. With his family’s fortune gone and his dear ones dead, Billy was left like a leaf blowing in the wind. Having been left alone in the whole wide world, Billy realized he had to fight for survival and this is where he developed his self-reliant approach to life. He started doing menial jobs to survive and, being a strong person physically and emotionally, he eventually found his footing. Billy Brown is happily married man to a woman called Ami Brown. The couple met in Texas when Billy was 26 years old and she was just 15. The age gap between them did not stop them from falling in love with each other and subsequently got married on the 16th of June, 1979. They have been together ever since. However, it is noteworthy that before meeting Ami, Billy used to be married to another woman called Brenda. According to reports, they were both teenagers when they met and got married. The marriage reportedly produced two kids but the union ended in divorced and Billy met Ami years later. Today, Billy has developed an unbreakable bond with his wife, Ami. Years after their marriage in Texas and after they’ve had two kids, Billy and Ami decided to move to Alaska and live there in one of the towns. Billy initially worked menial jobs around the towns they tried to settle in but they soon decided to relocate to the isolated Mosman Island in Alaska. However, They got stranded there for about 18 months and had to be rescued. When they were brought back into the town by their rescuers, Billy and his wife Ami, decided to start their lives inside the bush in Alaska. The family have since continued living inside the Alaskan bush building their own home from scratch to finish. The couple now have 7 children together; 5 boys and 2 girls. In addition to the two babies they had in Texas, Billy and Ami produced another 5 children in the Alaskan bush where they raised all the kids together. The children have been identified as Matthew Jeremiah Brown, Joshua Bam Bam Brown, Solomon Isaiah Freedom Brown, Gabriel Starbuck Brown, Noah Darkcloud Brown, Amora Jean Snowbird Brown and Merry Christmas Kathryn Raindrop Brown. They have all continued to survive over the years through bitter winters and other harsh conditions. 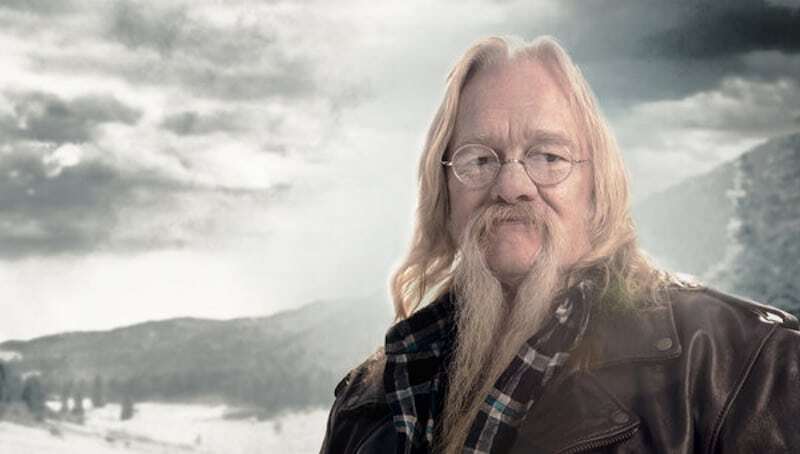 In 2014, after living in the Alaskan bush for many years and raising his children there, the life of Billy Brown and his family caught the attention of Discovery Channel, a popular American pay television network which reached out to Billy and asked to film his family for a new reality series called the Alaskan Bush People. Billy and his family agreed and Alaskan Bush People was born. The Alaskan Bush People reality show follows the lives of the Brown family members as they live from day to day in the Alaskan bush cut off from the thrills of modern civilization. The first episode of the series was aired on the 6th of May, 2014. Billy, as the patriarch of the family, is the most popular figure on the series followed by his wife and the children who are now all grown up. In the show, the family members are caught on camera hunting, fishing, building cabins and going on trips across the river. The show has gained quite a massive following and has made the Brown family members popular across America as Americans tune in to watch them every season. Read Also: Who Is Atz Lee? Does He Have Children, What Happened To His First Wife? Having made a name for himself as a reality TV star, Billy Brown is expected to have made some money for himself because being a reality TV star is a lucrative business. The exact salary which Billy earns from Discovery Channel for his role on the reality series is not certain but his net worth has been pegged at $500,000 by celebrity wealth calculators.